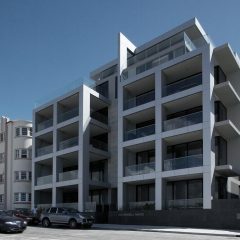 This project was the redevelopment of the old Bondi Diggers Club at the north end of Bondi Beach. 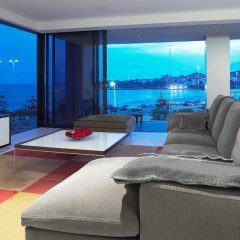 18 new luxury apartments were built, the majority with views to the beach. The apartments are all open-plan and sought to create a feeling of the ‘beach house’, open, breezy, with a simplicity of finishes and materials. Expansive balconies connect the living areas of each unit to the outdoors, the sea breezes and views, via large sliding glass doors. 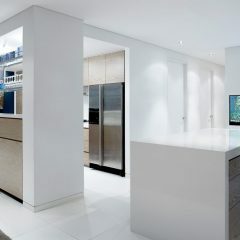 Each apartment also contains a room which can be used as an extension of the living space, a bedroom, or an office, connected to the rest of the apartment with a frosted sliding glass panel. The interiors have been meticulously detailed, allowing the richness of the natural finishes to become principal features of each space. 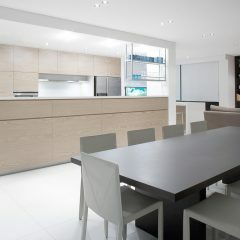 Work in association with Smart Design Studio.